Well good on you man, I hope you guys do well in the future. I use a Boss NS-2. Got if mainly for this Crate stack I used before I got my Peavy/B-52 combination. Really only bought it because the Crate would squeal when turned up to 6 and beyond. I like it a lot, it gets rid of those little nuances when you play at a great venue with awesome sound. I haven't noticed any tone reduction when using it, but when it's active you have to turn your master volume up a bit to equal out the small bit of volume loss. I was recommended the Decimator by ISP for only 30 USD more than my Boss. I didn't know anything about ISP though and since the guitar shop I go to doesn't have a demo for it I didn't buy it. I hear it's a beast though, but gear is such personal preference. This is the next Ibanez RG project. 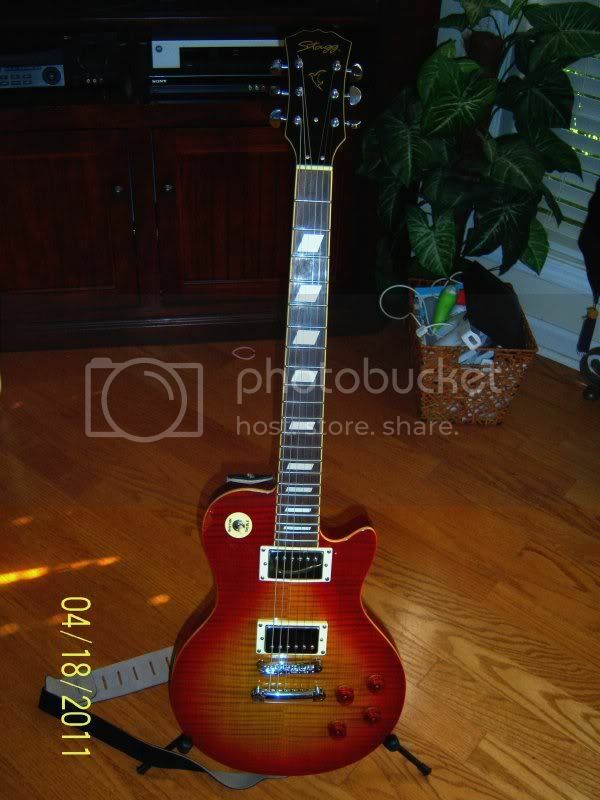 Haven't decided on the pickups yet. I put the Invader in my Randy Rhoads Jackson copy. I'll have to post a picture of it later. 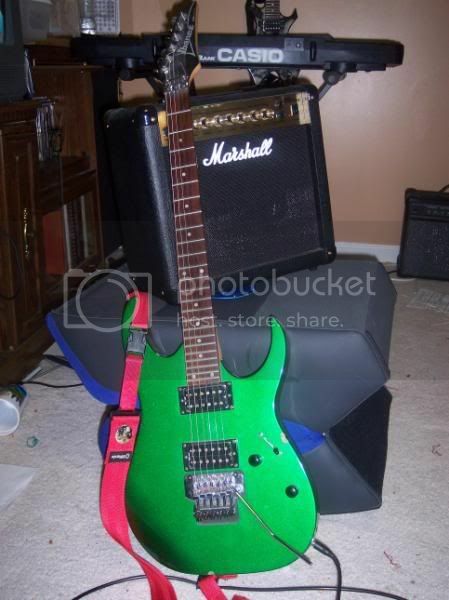 For a cheap Chinese guitar with a knock-off Floyd Rose it plays pretty good! 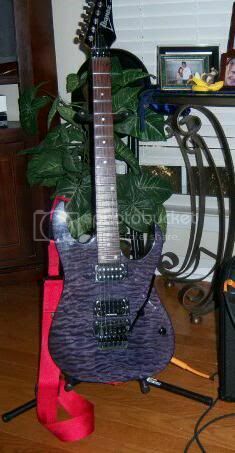 I also have a few no-name guitars including a decent Strat copy. For amps I have a Peavey Vypyr that I just got as well as a Marshall MG15, a Roland Cube 30, a Vox Pathfinder and an old beat up Crate. I also have a Behringer V-Amp collecting dust somewhere around here. 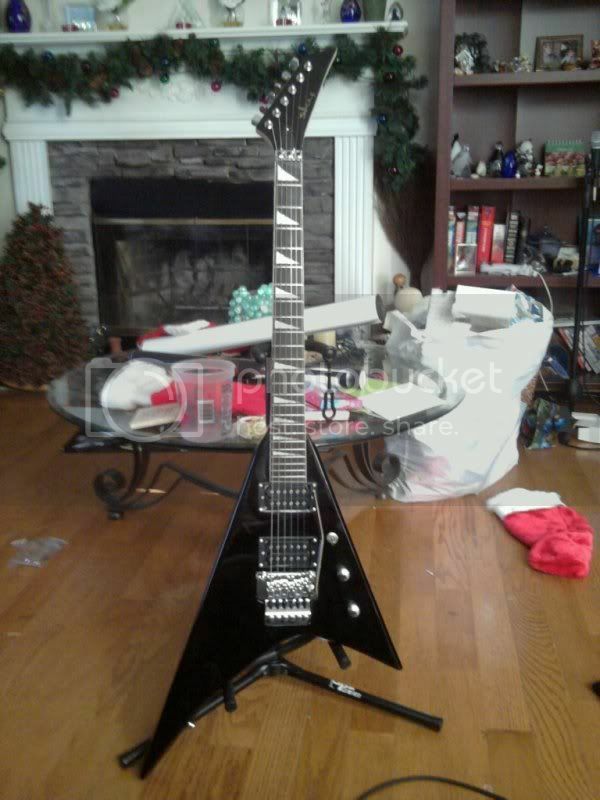 Here's a picture of my no-name RR style Flying V. I just installed a Seymour Duncan Invader and she sounds much better. Not bad for a $110 Chinese guitar. The action is good, the finish is great and the knock-off Floyd Rose stays in tune.